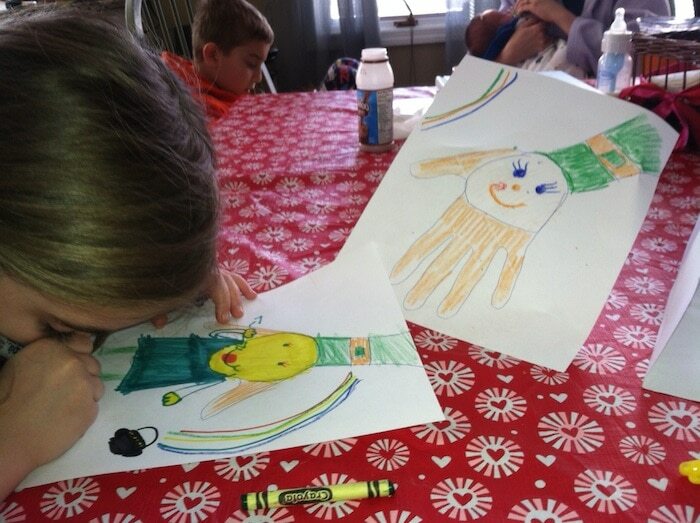 We have been so busy here that we have completely forgotten all about St. Patrick’s Day. I still have my Valentine’s Day tablecloth on and have told Bill to keep the four leaf clovers in the attic this year. I don’t have the energy to redecorate the house. 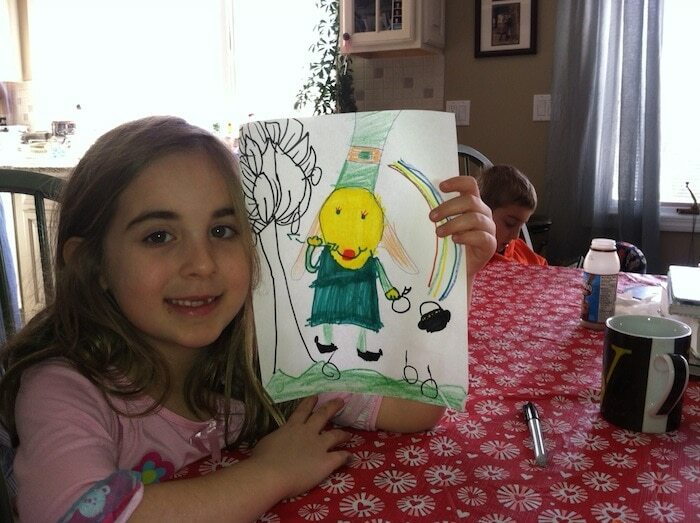 My mother came over yesterday to see the kids and had them draw some leprechauns which they enjoyed. That’s about all they are going to get from us this March. Thank GOODNESS my mother-in-law makes us Irish soda bread every year. I am SO looking forward to her shipment! !